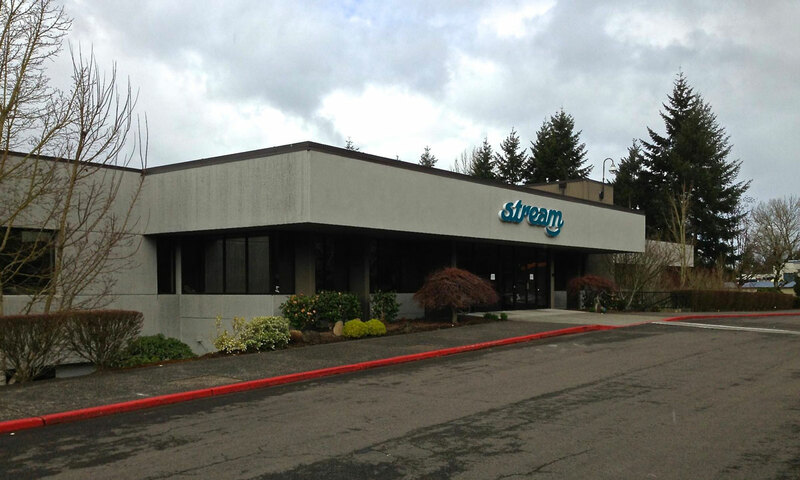 Property description: The two-story, 123,000 SF office building located 20 minutes south of Portland along I-5 boasts 7:1 parking, dual grade entrances, close proximity to the W.E.S light rail, and excellent freeway visibility. History: Built by Thrifty-Payless in 1980, the building was bought by Hollywood Video for its corporate headquarters in 1999, who occupied the building until recently. Redevelopment: ODI has repaired the plumbing and roofing system and re-painted the copious amounts of purple walls and movie quote decals, remnants of Hollywood’s occupancy. Current status: The entire building is leased to Stream Global Services, a third party call center that provides customer support for fortune 1000 companies.